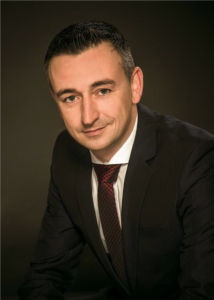 Michael Stechert has been appointed as the new branch manager of DDIM. The 41-year-old native of Saxony-Anhalter took over the management of DDIM’s office in Cologne on 1.8.2018. DDIM, the leading business and professional association for interim management in Germany has set about strengthening its growth opportunities at a time when interim management is building an ever stronger position in the German economic landscape. “Michael brings from his previous work for the largest representation of interests of the people in the Bundeswehr, the German Armed Forces Association, extensive experience in administrative and organisational matters of association and (the) conference organisation. For more than eight years, he was Country Manager for the approximately 30,000 association members in the five new federal states and Berlin. From the German capital, he organised congresses as delegate and members’ assemblies, public appearances by the association as an exhibitor, as well as road shows. The IIM wishes Michael and all those involved with the DDIM operation, continued success in developing the profession in Germany.